Livin’ up those oats— you should never be one of those oats + cinnamon + brown sugar + sad dried cranberry at the hotel breakfast fools again. I make a mean-tasting oatmeal mixed with about 10 kinds of powders, fruits, almond or coconut based yogurts and nut butter. I’m here to make your oatmeal breakfasts pop and impress your belly. Here are a few ideas to yummy those oats. I’ll share a few more in the weeks to come! I add a half cup of oats + 1 cup of water and then add various powders like slippery elm, maqui, maca, and camu camu. 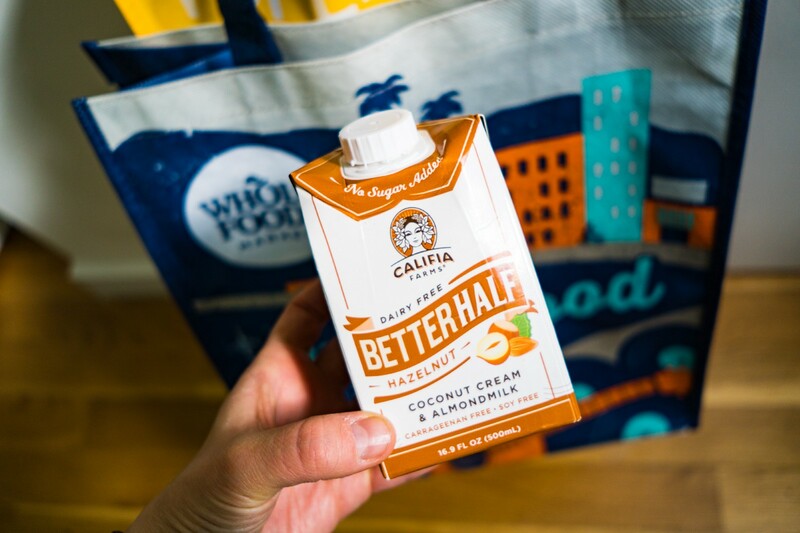 After I mix the powdery goods, in goes some creamy Califia life. The coconut cream thickens the oats and you get a hit of hazelnut goodness. Just a splash will do — but hey, go crazy if you want a more creamy, milky texture. Get your greens in! Forget putting this in a smoothie or shake — how about them oats! This adds a nice pop that treats your tummy right. 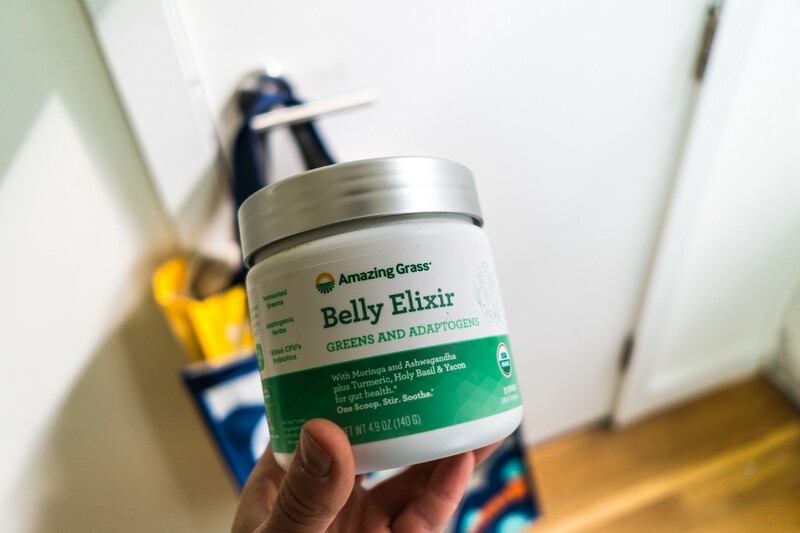 Full servings of Moringa, Ashwagandha, Tumeric, Holy Basil and Yacon ease digestion. It’s also USDA organic and store it in the fridge for optimal shelf life. 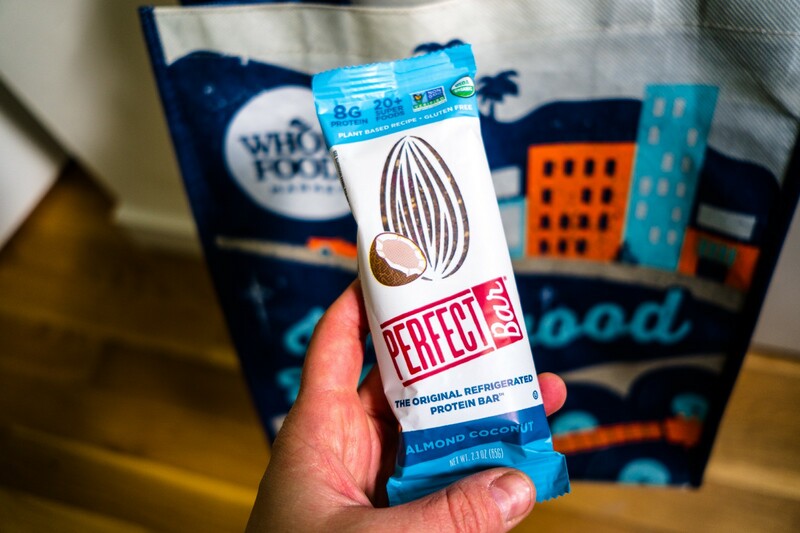 I recently went plant-based and I thought it would be the end of Perfect Bars, but they do they have a couple of vegan-friendly flavors. 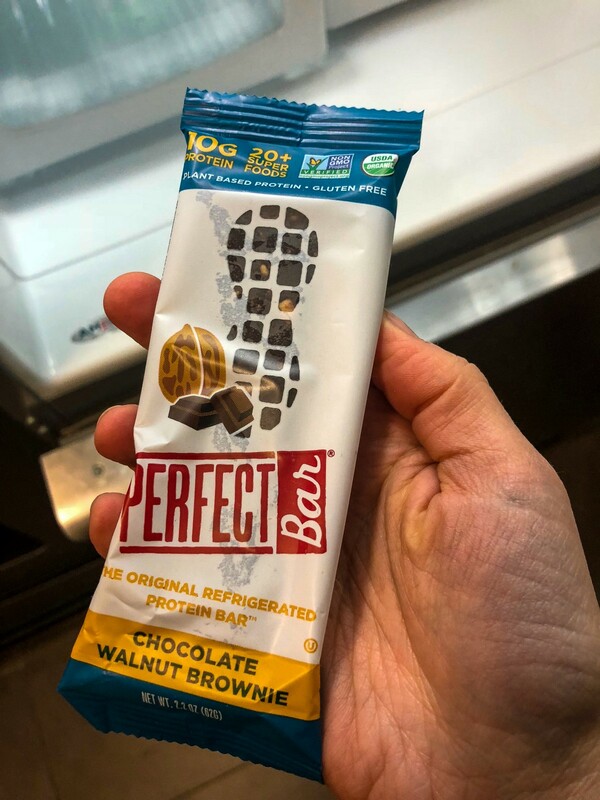 Their Almond Coconut and the newly released Chocolate Walnut Brownie are packed with protein and dervied from plant sources. And they’re gluten-free, organic and packed with 20 + superfoods! After I cook the oats, I’ll chop the bars into small squarish tangles and top them over the oats. They get all melty and chewy and just 🤤. 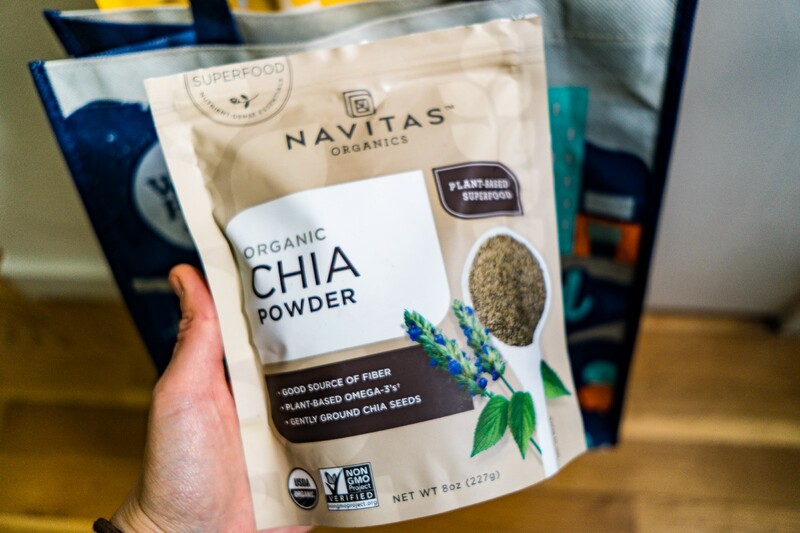 Ground chia seeds provide higher levels of Omega-3 absorption, but you can eat them whole and still get the fiber and digestive benefits. They also add a nutty texture to the oats. They’re also a fab fruit and yogurt topper. 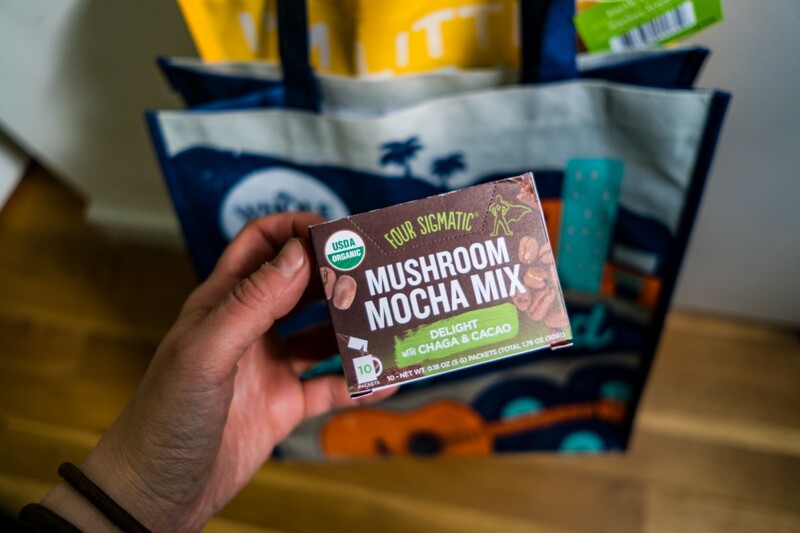 Four Sigmatic makes mushroom coffee products using Chaga, Reishi and Lions Mane — and these magic shrooms can calm the body, provide energy and keep yah focused. This shroomy mocha mix, clocking in at 30 calories, can combine into the oats for a chocolately flavor with the added boost of chaga. Now get to work! I want to see your oat creations! Share them in the comments below. What do you like to put in your oats? Let’s get into an oat-positive conversation!